Published on November 19, 2015 by Martyn. Be the first to comment! Having kept my lips sealed, I’m pleased to be able to go public about the Costa judging now that the shortlists have been announced. As revealed in an earlier post, I was one of three judges for the children’s category of this year’s Costa Book Awards – alongside Melissa Cox, of Waterstones, and Andrea Reece of Books for Keeps. 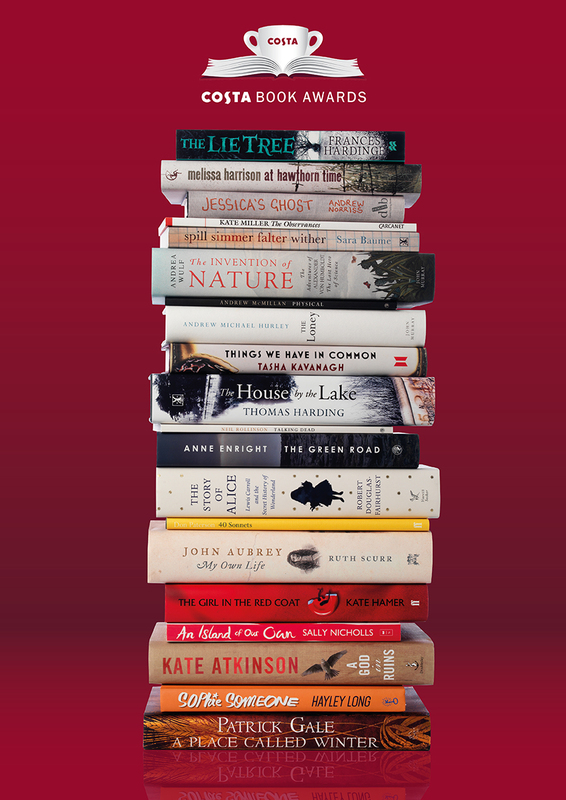 Over the past few months, we’ve been reading the 149 novels for children and teenagers which were submitted by their publishers (the biggest entry in all five categories). We whittled them down to an unofficial longlist of 12 then, in the restaurant of a swish hotel in London earlier this month, we met to decide the final four books which would make it on to our shortlist. Each judge began by declaring his or her own top four. It turned out that two novels appeared on all three lists – so that was nice and straightforward. Just two more slots to fill. Of the remaining eight books, several were favoured by two judges – so much of our discussion focused on those titles. In the end, it came down to four close contenders for the last two places and (after more debate and deliberation) we came to an agreement. An amicable one, I should say, though not unanimous. There was no falling out or tub-thumping – indeed, I was struck by how smoothly the three of us reached a decision, despite some well-articulated differences of opinion. Of course, we focused on the writing, the characterization and the storytelling, but also – as per the Costa brief – we considered which books we’d enjoyed the most. In the end, we settled on a shortlist of which we’re all proud. The quality of entries was very strong and at least a couple of the ones we set aside might well have made the shortlist in another year. The winner of the children’s category will be announced on January 4th and will go on to contend with the winning books in the four other categories (Novel, First Novel, Biography and Poetry) for the overall Costa Book Award, with a prize of £30,000, which will be announced at an awards bash in London on January 26th. An ingenious and atmospheric gothic tale, set in Victorian England, which tells the story of a teenage girl, Faith, who sets out to solve the mystery of her father’s murder . . . and to uncover the secrets of the magical ‘lie tree’. As well as being a compelling story, the book tackles some big themes: feminism vs patriarchy and evolution vs creationism, to name just two. 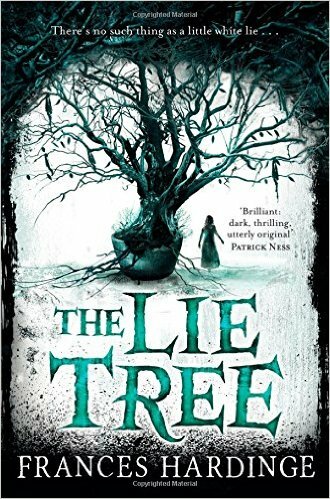 The Lie Tree, Frances Hardinge‘s seventh novel, is published by Macmillan Children’s Books and has also been shortlisted for the Guardian Children’s Book Award. After living in Brussels since she was little, Sophie Nieuwenleven discovers that her family’s ‘new life’ in Belgium is built on a past of dark secrets and elaborate deceit. Too afraid to tell the story straightforwardly, she resorts to inventing a vocabulary of her own – a clever, highly skilful linguistic feat which makes the novel great fun to read. I imagine the author had a lot of fun writing it, too! 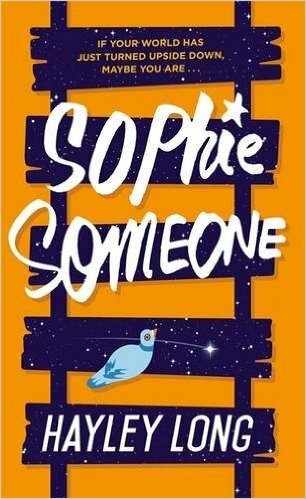 Sophie Someone is published by Hot Key Books and is Hayley Long‘s second Costa-shortlisting, following What’s Up With Jody Barton in 2012. Life is tough for Holly and her brothers after their parents die. Struggling to fend for themselves, their hopes are raised when they become embroiled in a curious quest to track down a hoard of jewellery bequeathed to them by an eccentric aunt who has left only a set of photos of unnamed locations as clues to where the inheritance is buried. A charming, heart-warming adventure. Sally Nicholls has won several prizes for her previous novels and is also shortlisted for the Guardian Children’s Book Award for An Island of Our Own (Scholastic). 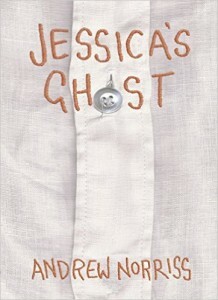 A teenage boy, Francis, is sitting alone on a bench at school when he is joined by the ghost of girl called Jessica. 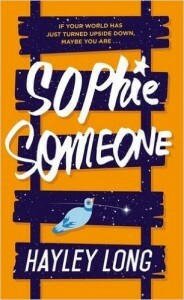 And so begins a beautifully told story about friendship and salvation as the mystery of Jessica’s death casts light into the dark corners of the lives of Francis and two other children who join their unusual ‘gang’. 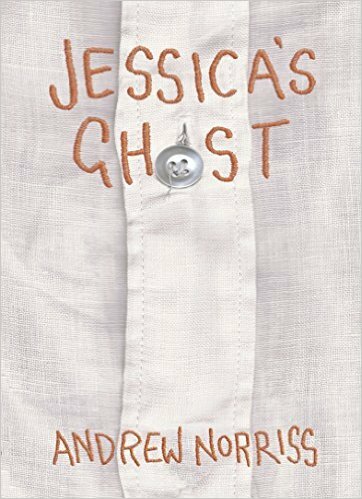 Funny and moving in equal measure, Jessica’s Ghost is published by David Fickling Books. 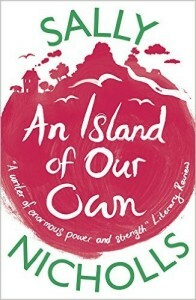 Andrew Norriss is a past winner of the Whitbread (now Costa) children’s award for Aquila in 1997.